Home Random Stuff Blog Rurouni Kenshin Cast will Be in Manila for Kyoto Inferno Premiere! Rurouni Kenshin Cast will Be in Manila for Kyoto Inferno Premiere! It looks like the first Rurouni Kenshin live action movie did spectacularly well here in the Philippines because Warner Brothers just confirmed two things: the asian premiere of the sequel, Rurouni Kenshin Kyoto Inferno, will be in Manila AND the cast of the movie will be visiting the country for the said premiere. Boom. Panes. #BoomPanes! Confirmed for attendance are Takeru Satoh, Emi Takei, and Munetaka Aoki. They played the characters of Kenshin Himura, Kaoru, and Sagara respectively. Keishi Otomo, the director of the film, will also be flying over. In their two-day visit, the cast will attend the red carpet premiere on August 6 at SM Megamall and they’ll also have a press conference open to the public the following day, August 7 at the Glorietta Activity Center. We’re definitely going to attend! Woot woot! 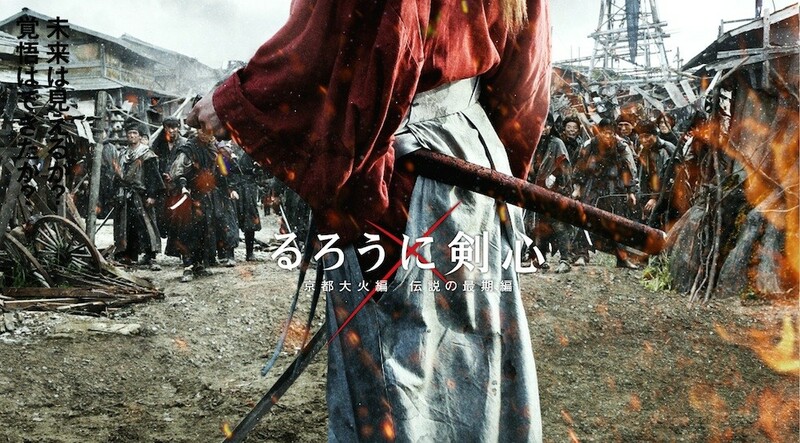 “Rurouni Kenshin: Kyoto Inferno” will hit theaters on Aug. 20, 2014. Next articleHappy Birthday Batman! 75 years of making every kid wish they had grappling guns!